Two weeks ago a Bill banning the import of goods made on illegal Israeli settlements on Palestinian land was overwhelming passed in its second reading by the Dáil – 78 votes to 45 votes. It was an important vote. The ‘Control of Economic Activity Occupied Territories Bill’, which was introduced by Seanadóir Frances Black, successfully passed all stages in the Seanad in December. To become law it must now go through a similar process of votes and scrutiny and possible amendment in the Dáil. The Bill, which was debated on Wednesday, and passed its second stage on Thursday, does not specifically reference Israel and its occupation of Palestinian land. If it completes it passage through the Dáil it will be an offence to import or sell goods or services from occupied territories anywhere in the world. Inevitably however, much of the focus in the Seanad and in the Dáil has been on its impact on goods and services originating in illegal Israeli settlements in the West Bank. In its response the Israeli government called in the Irish Ambassador to protest at the passing by the Dáil of the Bill – even though Simon Coveney, the Fine Gael Minister for Foreign Affairs, clearly stated in his Dáil contribution his government’s intention of blocking the legislation from passing into law. Israel warned that banning imports from the west Bank would result in “severe ramifications.” Last year it threatened to close its Embassy in Dublin over the introduction of the Bill. The Israeli government also claimed that the Bill is “hypocritical and anti-Semitic”. On that basis those many Israeli citizens who oppose Israeli Prime Minister Benyamin Netanyahu’s settlement policies in the west Bank could be similarly accused of anti-Semitism. The debate in the Dáil also saw a renewed focus on efforts to get the Irish government to honour its Programme for Government commitment, and the democratic vote of both Houses of the Oireachtas in 2014, to recognise the state of Palestine. The government’s stance on this has been reprehensible and shameful. As the government has stalled and prevaricated, the daily slaughter and oppression of Palestinians has continued. Two weeks ago the Israeli human rights group B’Tselem revealed that 290 Palestinians were killed by Israeli forces in 2018. 55 of these were children. Ten years ago this month Israeli forces invaded the Gaza Strip. That one sided massacre resulted in 13 dead on the Israeli side, and one thousand four hundred and seventeen dead Palestinians. Among them three hundred and thirteen children. I visited Israel and the Gaza strip not long after that first assault. I was horrified by the scale of the human tragedy. The UN report in to the 2009 invasion concluded that it was a deliberate disproportionate attack by Israel designed to punish, humiliate and terrorise a civilian population. 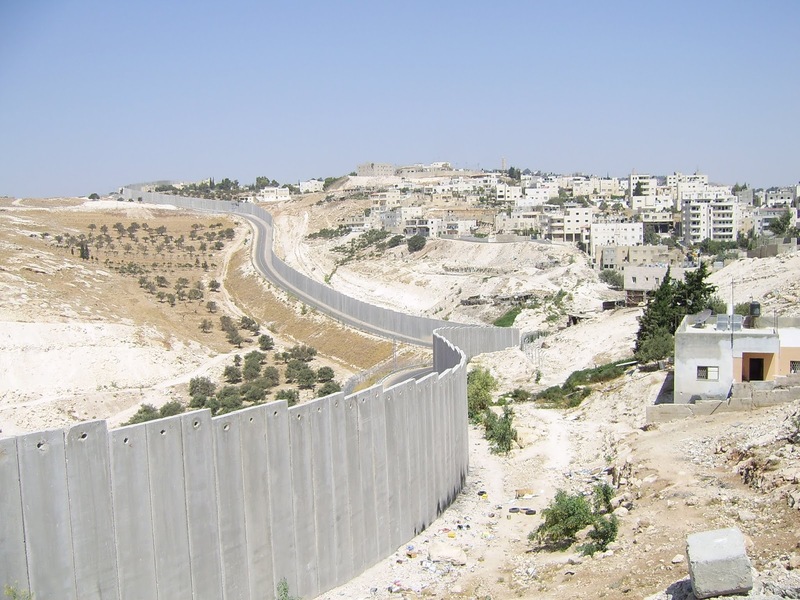 The Israeli occupation of Palestinian lands; the so-called separation wall; the theft of water rights and of land for illegal settlements, have all been well documented. There are approximately 650,000 Israeli settlers living in 143 locations in the West Bank (132) East Jerusalem (11). There are also 106 “outposts” which are not formally recognized by Israel as settlements but which are tolerated by the government. Illegal Israeli settlements are not restricted to residential buildings. Israel has also constructed industrial and agricultural settlements. These sustain the settlement programme and many of their products are for export. As a result of this settlement/colonial expansion the Palestinian economy is undermined; Palestinians are unable to access their natural resources, farmers are barred from their fields; and Palestinian homes are demolished and their crops, especially their olive groves, destroyed. Last week a confidential report by EU diplomats in the Middle East was published by EUObserver. The 20-page report, which was compiled last summer, is intended to “inform Middle East policy” among EU Governments. It describes Palestinians in the west Bank as facing “systematic legal discrimination”. Alon Liel, a former Israeli diplomat and Ambassador to South Africa between 19992-94 told EU Observer that what Israel is doing to Palestinians is what apartheid South Africa did to black citizens. Liel, who I met in Jerusalem in 2014, said: “The west Bank legal regime is a form of institutionalised racial segregation. A simpler description would be apartheid”. Israel is a first world, nuclear armed, economic power. The west Bank and the Gaza Strip is a third world region, impoverished and oppressed, with a society and economy entirely dependent on the generosity of others. The reality is that it is the Israeli government which snubs diplomacy; rejects international criticism, has no interest in peaceful alternatives; and does not see armed force as a measure of last resort. Brute military force is Israel’s measure of first resort. In his remarks to the Dáil Minister Coveney restated the government’s determination to block the Bill. He said that if the government “adopts this Bill, we would be choosing to be a principled voice in the wilderness, satisfied in the righteousness of our course, but largely unable to influence the real action”. Better to be a principled voice in the wilderness speaking against injustice than to turn our backs on the multiple abuses being suffered by the Palestinian people. Pastor Martin Niemoller, a vocal critic of Nazism once warned against refusing to challenge injustice. Two weeks ago the centenary of An Chéad Dáil was celebrated by a joint sitting of the Dáil and the Seanad in the Mansion House. The meeting of the First Dáil was an illegal act. If we follow the rationale of Simon Coveney, and this government, then those who assembled on that occasion would not have done anything. Women still would not have a vote. Slavery would still be legal. No one anywhere in the world would have won a single right if we followed Minister Coveney’s rationale. If we, as a former colony still partitioned, still occupied in part by a Government we do not want, with our proud history of freedom struggle and resistance and our peace process, do not support the people of Palestine, then who will? There is no wrong time to do the right thing. The Government should support the Occupied Territories Bill.